and the precious Sangha as our companions. The Dharma is the unconditioned truth of total wisdom, compassion, and purification as spoken by the Buddha. Realizing the limitlessness of the precious teachings is always and equally available to all beings in our daily life. H. E. Kilung Jigme Rinpoche is a Longchen Nyingtik lineage holder and teacher, and recognized reincarnation of Jigme Ngotsar Gyatso, one of the four heart-sons of Jigme Lingpa. 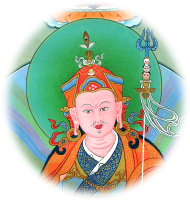 He brings to the West a deep realization of Dzogchen practice, and emphasizes bringing the practice into daily life. The dharma activities of Pema Kilaya are primarily at Yeshe Long House, in Clinton WA.